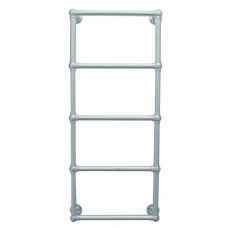 The Fletching stainless steel heated towel rail is shown here " All electric "
The size of this rail is 1185mm x 520mm. Also available 910mm x 520mm: 635mm x 520mm. 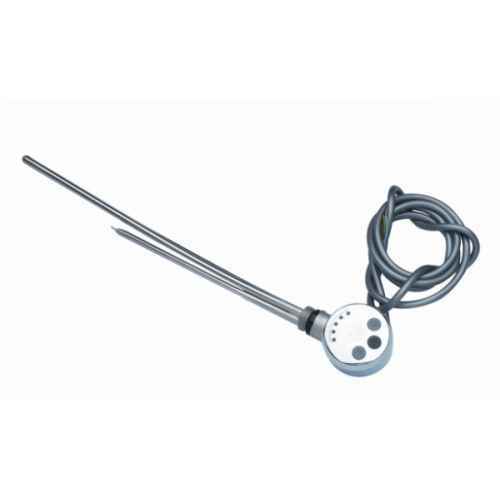 Standard electric element: IP55 rated, minimal in appearance it has a built in thermostat to prevent overheating. Basic Adjustable element: IP54 rated with five different heat settings to save on running costs. 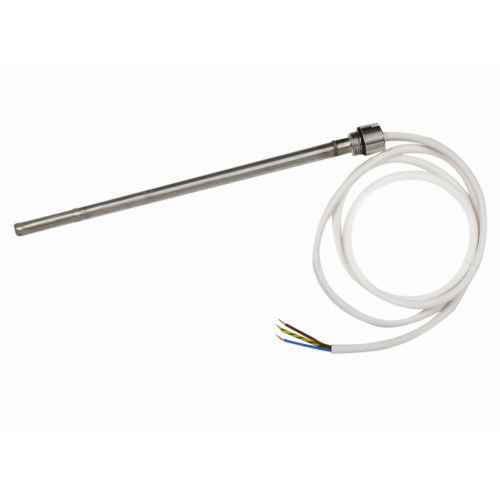 Cylindrical adjustable element: IP55 rated with four heat settings with discreet built-in LEDs indicating heat setting. The heated towel rail is supplied with the element fitted and ready for installation. 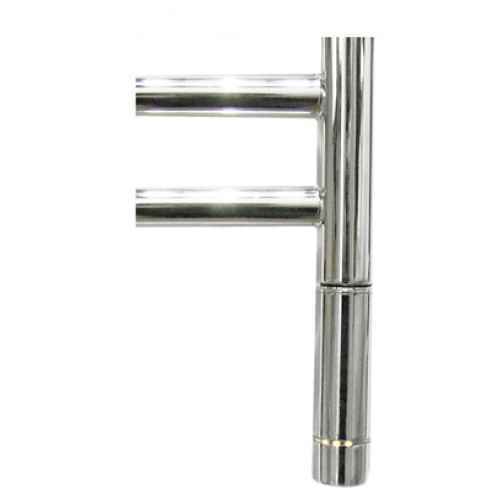 The element is fitted to the right hand side of the towel rail.